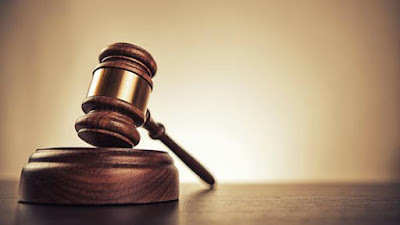 An Evbuoriaria Magistrates’ Court in Edo State has remanded two sons of a former Deputy Speaker of the House of Assembly, Fred Omoigberai, in prison custody for allegedly threatening to kill their father. The suspects, Emmanuel, 30 and Davis, 33, were also accused of being members of a cult. They were alleged to have threatened to kill their father. The suspects were accused of intimidating their family and relations. In the charge sheet, the brothers were alleged to have on September 23, 2017 scaled the fence of their father’s home at 1, Hon. Fred Omoigberai Street, off Sapele Road, Benin City. They were alleged to be armed with guns and other weapons, held the security guard hostage for hours and attempted to break the doors to gain entry to the rooms with intent to attack, rob, kill or kidnap the occupants, particularly their father. The offences are punishable under sections 5(b), 4(1)(a)(c) and (h) of the Edo State Secret Cult Prohibition Law 2000 and Section 2(1) 2(a)(b) of the Armed Robbery and Firearms(Special Provision)Law 2004. The Chief Magistrate, Mrs. Caroline Oghuma, declined jurisdiction over the matter and remanded the suspects in prison custody. She ordered the case file to be duplicated and forwarded to the Director for Public Prosecutions (DPP) for legal advice.